It’s easy to say that I love chicken, and these Grilled Lime Tequila Chicken Breasts are a favorite for dinner. The flavor combination is truly one of the bests to eat alone, or toss into a salad. 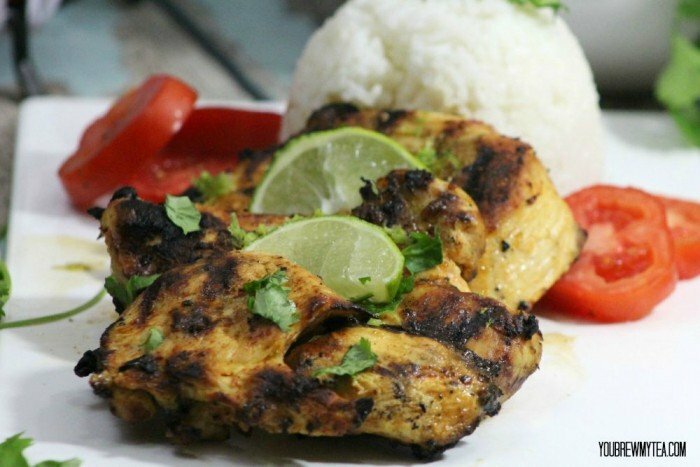 I love how bright lime is with the chicken, and the tequila flavor really makes things pop! I am not really a drinker. In the last 10-11 years, I have had maybe 5 drinks, and those not even half. I do however love the flavors that some alcohol offers to my menu. From red wine in my spaghetti sauce to the tequila in this marinade, there is just something that makes the flavors pop and come to life. This marinade is simple to mix up. You can add the chicken breasts whole into this to grill in tact, or you can cut the chicken into pieces to create great chicken kabobs. We have done this both ways, and always love the results. I let my Beau man the grill since I never know how to operate ours. A few minutes on each side to cook through and give beautiful grill marks and you have beautifully grilled chicken. I love that this is so full of flavor without tons of butter, cream or cheese. Truly a dieters dream! Combine in a bowl tequila, lime juice, lime zest, orange juice, coconut oil, and Worcestershire, whisk until thoroughly blended. Pour contents into a gallon Ziplock bag and add chicken. Seal the bag then shake it to spread the marinate the chicken, place it in the refrigerator for 3- 8 hours. Before grilling you may wish to season with salt and pepper to taste. Use a paper towel wipe oil on the BBQ grate before grilling on a slow lo-heat. Grill on both sides for 10 minutes. Use a meat thermometer to check for proper doneness. Remove from grill, cover with a foil tent and let rest to allow the juices to settle for about 10 minutes. Add garnish of cilantro and lime zest. 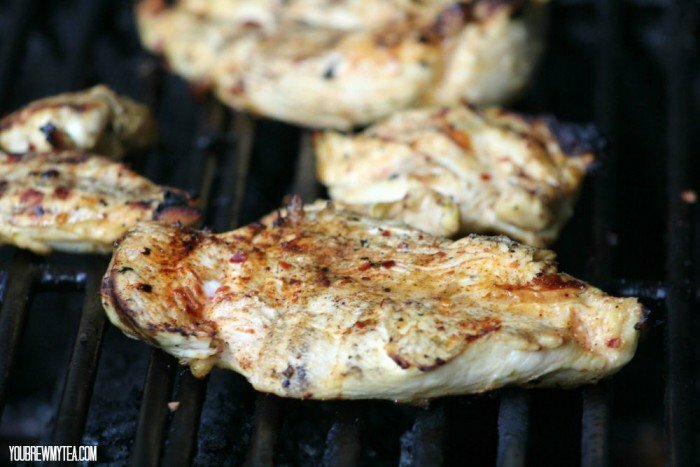 This grilled lime tequila chicken breast marinade is also great if you want to marinade items as you freeze them. I love grabbing Zaycon chicken breasts on sale for $1.89lb. then bagging 3-4 breasts per gallon bag with various marinades. I label with the flavor, then simple pull them out, thaw overnight and toss on the grill for a super easy, yummy an already well seasoned meat to go along with rice, salad or baked potatoes. Check out some of our other favorite chicken recipes! YEP making this. Love what you’ve done and no refined sugar, gluten free, dairy free. YAY!!!!!! Looks really REALLY good! Yes please! Pinned it and now I’m very hungry. Thanks for the recipe! 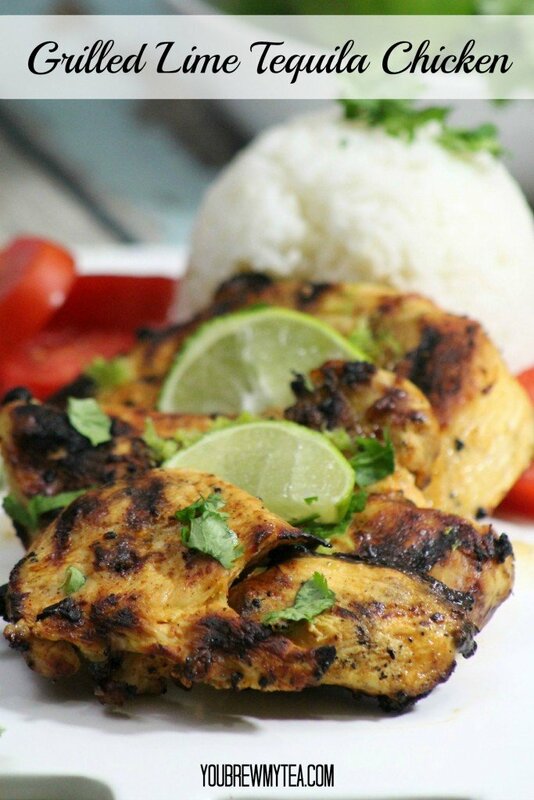 Tequila and lime is such a perfect combination, adding grilled chicken just takes it over the top! Thanks for sharing on Delicious Dishes recipe party! This sounds really good & is totally our families style. Can’t wait to try your recipe. Love this chicken recipe! Thanks for linkin’ up with What’s Cookin’ Wednesday! This looks delicious. I would love to give this a try. This is the perfect grill recipe for summer! Thanks for linking up at Delicious Dishes Recipes, hope to see you again this week!